In the UK we spend almost £4,500 a year on Skin Care products according to Totalmoney.com. Which is ridiculous! Obviously, we can’t cut out our skincare routines completely, but we can substitute some higher end brands for highstreet own brands. Our favourite budget skin care line is Boots Botanics (price range is from £7.99 to £15.00 per product). 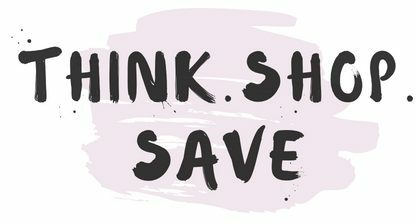 We aren’t skin care experts here at Think.Shop.Save, but what we can tell you that the range is always expanding and covers all the staples you need in your skincare routine. Currently, at Boots, the range is on offer: 3 for 2 on the cheapest item. So you get the cheapest item free. Botanics Organic Rosewater Toning Spritz (150 ML | £5.33 per 100ML) – £7.99 – Perfect for hydrating and refreshing your skin throughout the day.